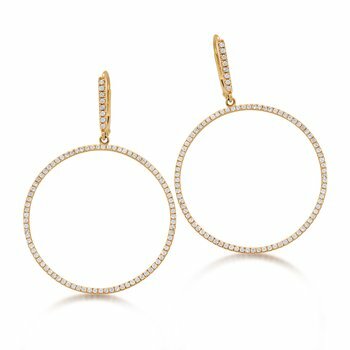 Not your traditional pearl earrings -- these have a few interesting twists and turns! A pearl begins its journey to become The IMPERIAL Pearl within the sea’s blue mystery. For three generations, IMPERIAL has traveled to the world’s premier pearl farms in the most pristine, exotic locales. They have developed lasting bonds with pearl farmers dedicated as much to their craft as to the environment that sustains it. The result: Imperial Pearl is assured “first pick” privilege of every harvest. With unmatched skill and a poet’s eye for beauty, Imperial selects only nature’s true masterpieces that reflect ultimate expressions of the five pearl “virtues” – deep and radiant luster, flawless complexion, ideal shape, richest colors, ideally proportioned sizes. And so from oceans of pearls arises… The IMPERIAL Pearl.